Jessica visited school today to accept our donation money from the Reindeer Run just before Christmas. 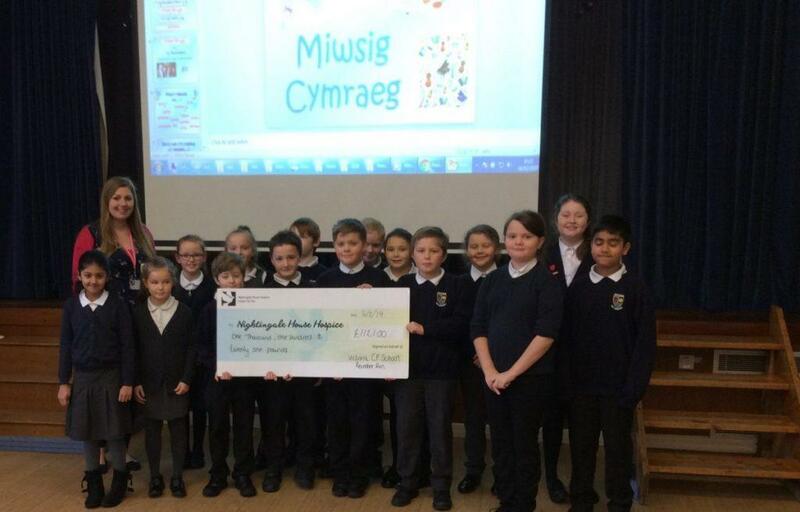 Overall, we raised £1,211 and furthermore, Year 3 raised another £100 from their St. Dwynwen’s Day service. Diolch for all your generosity!